Lucinda had always wanted to see Italy, and at nineteen, she and best friend Jonas now find themselves backpacking through Europe. With very little sleep and not much more money, Cinda enjoys the simple life of travelling, armed with her paints and her imagination. It's painting on the edge of a cliff that she meets Ludo, the Prince of Sardinia, although Cinda has no idea who he is apart from the charming and charismatic young man who smudged her painting. Ludo is instantly smitten with the curvacious, free spirited Australian and opens Cinda up to a world only seen by the wealthy and entitled. Ludo invites the two backpackers to party with the elite in Sardinia, leaving Italy behind. Ludo's lifestyle is nothing but parties and wild nights, and Cinda is swept away in his lavish lifestyle... Until she meets his twin Gus. Gus is heir to the throne and lives his life accordingly. He has the expectations of a nation on his shoulders and only five years before his mother hands the throne over to him. His life doesn't allow for the carefree existence that Ludo lives, so why does he find himself frustrated and wanting to live as Ludo does? Cinda has nothing to return to. In Sydney, her mother has met yet another man and decides to move to New Zealand, renting out their home for the next six months. So when Ludo is desperate to keep Cinda close, he commissions the budding artist for a portrait. Sure to keep her busy for the next few months, Ludo believes Cinda is the one. But Gus sees her as one of a long list of beauties that could potentially destroy his family name and wants her and her freeloading companion gone. If Gus ever forgets his place, his mother and uptight girlfriend Perrette are there to remind him. But Gus longs for something more, so when Ludo is sent to South Africa to sort his life out, Gus is stuck watching over Cinda and standing in as the portrait model. It isn't long before the two begin to find common ground, a love of art, creativity and seeing beauty in the world. 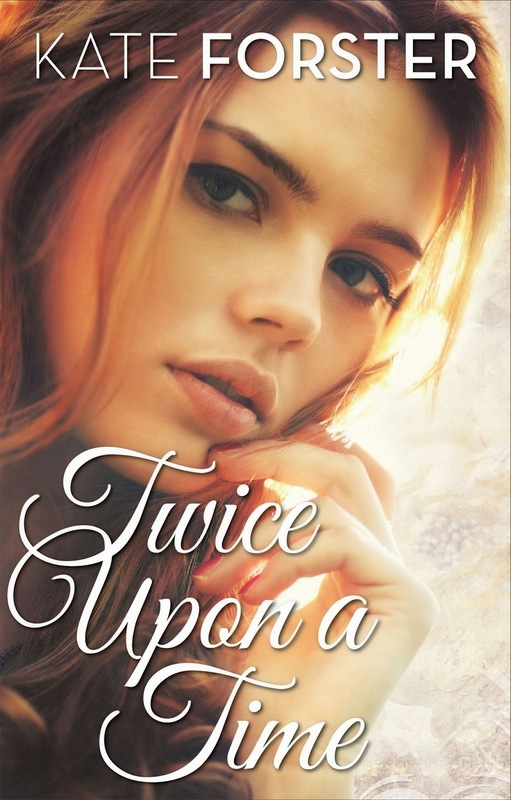 With both in respective relationships, future King Gus would never be allowed to share his life with a commoner, but is he willing to give it all up for the chance to live a life with Cinda, and will she want him? It's been far too long since I've read a fun, flirty and romantic contemporary, and Twice Upon a Time was the perfect heartwarming read. It follows the story of Cinda, an Australian backpacking through Europe when she's swept up into a world of royal princes, lavish parties and brooding brothers. Cinda is a fun loving character, she's vivacious and isn't afraid to speak her mind, a quality that both Gus and Ludo both find irresistible. But under the surface, Cinda hides a sadness that even a luxurious lifestyle can't repair. Even though she's technically an adult, her mother has abandoned her for yet another man. This time, her mother plans to marry a man that Cinda has never met, move to New Zealand and entertain a new family that doesn't involve her only child. But Cinda doesn't dwell, and although hurting, she carries on and makes the most of the opportunities life is throwing her way. I loved Jonas. He's the token sassy gay friend and budding fashion designer. He's fabulous and would love to read his story next. 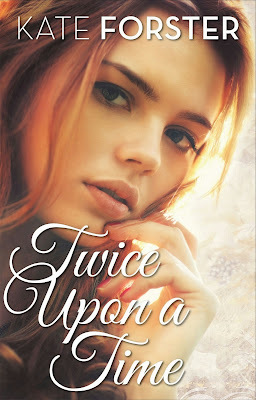 If you're looking for a light and heartwarming read that will sweep you into a lavish world of travel, then Twice Upon a Time is a flirty read that will leave you warm and fuzzy. It's perfect as a light fluffy read that you really don't need to think too much about. I think I need to read more titles like Twice Upon a Time to break up the series and dystopians I tend to favour. Sounds like a warm, fuzzy contemporary, great for a reading slump. Thanks for your review on this Kelly, I've seen this but haven't read much about it until now. It won't knock your socks off Jeann, but it'll definitely put an end to a reading slump. It's like a soapie in paperback form. Just mindless and fun. Ha, this sounds fun! I've never read a book about a backpacker before (I thought they all got murdered...or have my parents been lying to me....) and anything Australia is automatically awesome. We're a minority in the literature world! Go Aussie! Yes, go us! Come to think of it, I don't think I've read anything with backpackers in it either. Luckily the main character is backpacking through Europe. If it had of been home grown with a foreign backpacker, it would have been a thriller. Oh, we're both terrible! Aww...the warm fuzzies this could bring! I love how Cinda is backpacking through Europe, that's my ultimate dream! I imagine I'd be swept away by everything that I will see. And I love that she's got a sassy gay friend. I've always wanted one, but damn, my friends are so straight! I love the token gay included as the friend in young adult novels. They're always the ones with the sharp and witty retorts, a keen eye for fashion and boy crazy. Super stereotypical, but they bring such a sense of fun. I read Unlucky Break and enjoyed it so I am looking forward to this one. I love romantic comedies and I am sure I'll enjoy it as much as I did her other book. Thanks for sharing. I'm starting to really enjoy them too and will definitely have to check that one out. Thanks for the recommendation.